I soaked in every word of a book on women living with M.S.. Line for line I read other women’s experiences, trials, battles, ups and downs and more than I needed to know. The negatively left me wanting. Wanting more of what I have had without reading such a book. At times tears filled my eyes and the entire portion of this ink filled tree left me dry and burdened without hope. Is it bad to know I am not alone? This strange buzzing elecrtricity in my body and the heat senstivity and numbing and stares of strangers when “such a healthy looking young woman” would use a handicap spot or a walker or an electric cart? Oh, in all that comes with this illness, it helps to know I am not alone. Yes. But there is this great battle of the mind. How well am I protecting my mind if I only surround myself with sick people only getting more sick and negative people only growing more negative? “He who walks with the wise grows wise, but a companion of fools suffers harm”, Proverbs says. Could it be said, “She who always hangs out with sick people and reads about sickness and thinks sickness will be sick”? If I were trying to lose weight but I only read books about food and hung out with other people who lack self control with food and went to places that had all the food I struggled with I don’t think I would succeed in losing weight. I would find myself in a losing battle. I have been so blessed to meet other beautiful women who are fighting the same battle as I. We share and talk and encourage one another. We share some of the difficult things too and help each other work through it or pray through what we don’t understand. It is a beautiful thing. I never walk away from these encounters feeling discouraged and disheartened. I feel in awe, blessed, joyful that we get to walk this journey together. We don’t take joy in griping or dwelling in the negative. We speak life! Life! Not death or dismal. We share Hope! Hope is what a real support group should bring. Proverbs 15:23 says, “A man has joy by the answer of his mouth, and a word spoken in due season, how good it is!”. How good it is to be with wise people who speak life into your soul! How good it is to choose to speak life to your own soul and how good it is to speak life into other souls! Who will you surround yourself with? What goal are you reaching towards? Are you surrounding yourself with people who will cheer you on and pick you up and dust you off when you fall or people who will shut you down, and stomp on your dreams? Are you surrounding yourself with people who will love you in the raw and through the nitty gritty and speak hope into your todays and tomorrows? You are worth it! Choose your friends well and be the friend you would like to have. Whatever support group you join, make sure it is a group of people who speak life into your mind and your soul!!! Their words have power to give life or death. Choose life! This dear soul (on the left) is one of my life giving friends. 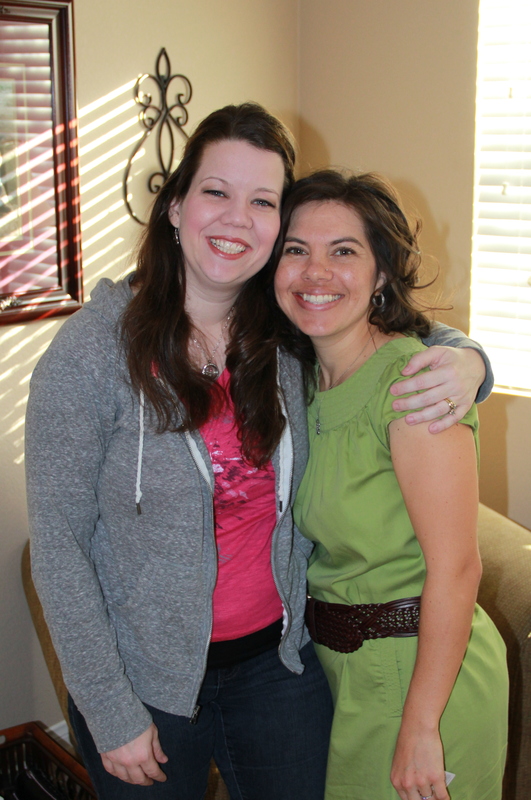 I am so very thankful for my soul sister Joanna. If you do not have life giving people in your life, pray and ask God to bring them to you. He will! I believe it! I am praying for you too! Sweet and encouraging words. Thanks for sharing and speaking life. Pray for me, that I would find such sweetness in a friend/sister. Yes, I am praying for you Linda. Hugs my friend.